Since time immemorial, the Play Store has downloaded apps in a row: one app starts, and when it’s done, the next app begins downloading. Simultaneous downloads should have been a thing years ago, but they’re only finally starting to show up. If you have multiple apps waiting to update, tap to update all and watch what happens. The apps flip flop around as if they were drunk, and for some users, concurrent downloads are happening. You can see them in the screenshots above and the one on the left below. This means that if you’re downloading or updating a huge game, for example, you won’t need to wait for it to finish before your other apps get updated. It’s quite nice. Left: Simultaneous downloads. Right: When the downloads are done, they install one by one. This is a server-side change, and we can’t re-produce the simultaneous downloads, though the flip-flopping is happening for us too. It looks like Google is changing the algorithms there to introduce the feature, so we can only hope it’ll spread to more users soon. 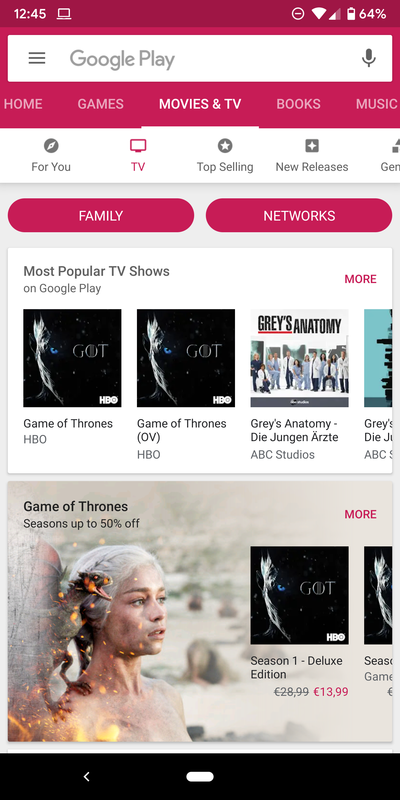 Last year, Google simplified app testing on the Play Store for developers by allowing them to have an open beta, closed alpha, and an internal test channel for a maximum of 100 users. The latter is meant to allow developers in large companies to test their apps among the team, or to have a super small loyal user group willing to try a rough draft of an app or update. By default, anyone invited to an internal test channel and who approves it is able to install that app. So it’s weird to see a toggle to allow this appear in the Play Store. 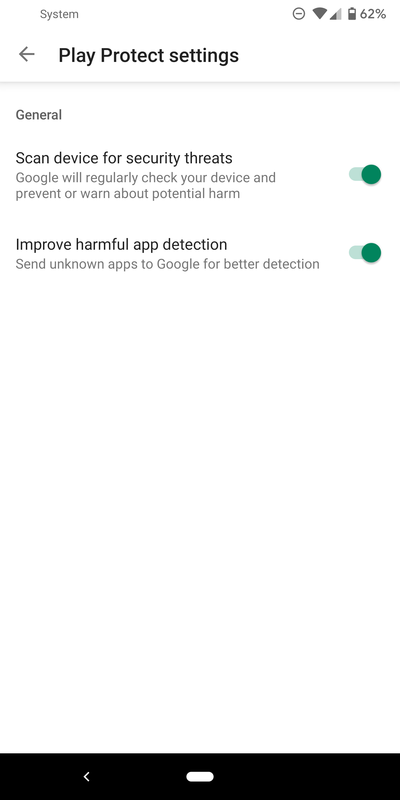 The new setting is hidden but shows up after repeatedly tapping on the Play Store version in Settings. It works on most recent versions of the Play Store and for everyone, so this isn’t reliant on a server-side change. The toggle looks disabled by default, but as we said, it already works. Perhaps the big benefit once it is configured properly is that you could disable the installation of all internal test channel apps in one fell swoop. Left: Internal app sharing toggle. Right: Explanation after toggling it on. When Play Protect showed up and later made its way to the Play Store, it had a simple one-page interface. We don’t know when exactly a new interface rolled out, but it’s different now, for everyone. 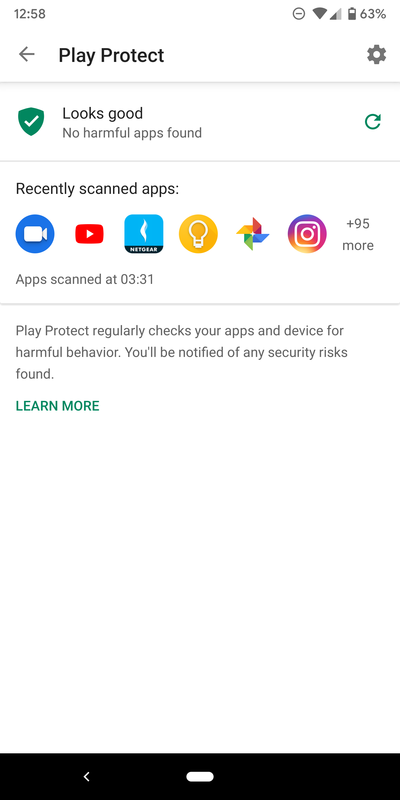 The main Protect UI still has the recently scanned apps, but the settings to scan the device and improve harmful app detection have been moved to a different screen. I’m not sure why this had to be changed. The one-page layout was alright since there aren’t too many settings. Left: Play Protect first screen. Right: Separate settings. 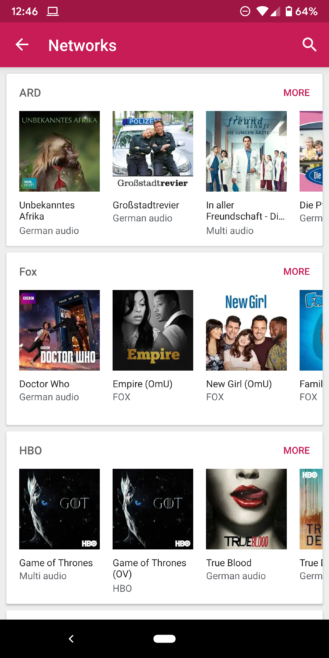 And finally, we have spotted one more change in the Play Store’s Movies & TV section. Again, we’re not exactly sure when this began showing up, but it’s there for all of us. In the TV tab, there’s a new filter bubble to display shows by Networks. That way you can see all series made by your favorite channels. Left: Networks filter in Play Store’s TV section. Right: Browsing series by network. If you’ve seen any other odd Play Store changes, or if you can replicate the simultaneous downloads, let us know in the comments. And don’t forget that you can always grab the latest Play Store version from APK Mirror.